Silky Slim was Alton Sterling’s friend. Like others before him, he knows how important it is to film the police — and how dangerous. It was Reed’s group Stop the Killing that captured and distributed the first footage of Sterling’s death. A volunteer for the organization happened to be passing by the parking lot of the Triple S Food Mart, where Sterling was killed, as the scene was unfolding. Aware of a confrontation between Sterling and the police earlier that day, she stopped to observe; as it escalated to a shooting, she captured the video on her phone, then delivered it to Reed. That footage, in conjunction the very next day with the police killing of Philando Castile in Falcon Heights, Minnesota, reanimated both the Black Lives Matter movement, which argues that there is a national crisis of police brutality targeted at black Americans, and the debate in which it swirls. The names of the dead that have inspired the movement so far — from Trayvon Martin to Eric Garner to Walter Scott to Rekia Boyd to Sterling and Castile — are painfully familiar enough. Increasingly, so are the men and women who have captured the evidence of the killings. Without video shot by Ramsey Orta in Staten Island, Feidin Santana in South Carolina, or Diamond “Lavish” Reynolds in Minnesota, we would not know the exact circumstances in which Garner, Scott, and Castile, respectively, were killed. More than likely, we would not know of those killings at all. The footage shot by bystanders can be seen as a reproach against the excesses of state power. It’s almost a parallel of the 2nd Amendment debate: like gun owners who believe staying armed is the only way to protect their private rights, amateur videographers cherish their power against government overreach. 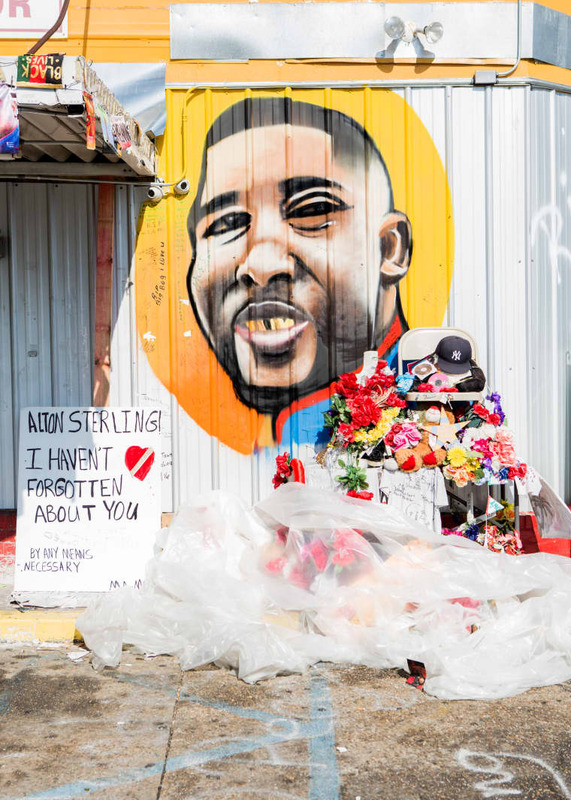 (Or of government omission: there is no police footage of the Alton Sterling killing because, the officers in the case contend, the body cameras they were wearing were dislodged during the incident.) Again and again, official police narratives have been contradicted by the work of quick-thinking witnesses armed with phone cameras. When the Stop the Killing volunteer sent Reed the Sterling video, his first impulse was to sit on it. He thought maybe he’d use it in a future Stop The Killing documentary; he also considered the possibility that the police would themselves investigate the homicide, making the Stop The Killing footage unnecessary. “I was like, ‘Let’s see what happens,’” he says. Then Reed heard that the Baton Rouge Police Department was stating the officers opened fire only after Sterling reached for the gun that was in his front pants pocket. Ramsey Orta and Eric Garner were friends. On July 17, 2014, the day Garner was killed in Staten Island, the two had gone to lunch and then returned to Bay Street, a central hub. A fight broke out in front them, and Garner stepped in to intercede. Garner was known to local police due to his side hustle, selling untaxed cigarettes. When the cops arrived, instead of targeting the instigators of the fight, they approached Garner instead. His lawyers, William Aronin and Ken Perry, agree with Orta that the charges against him, which include weapons possession and drug dealing, are part of a calculated campaign of retribution. Nonetheless, Aronin and Perry told The FADER, they advised him to take a plea deal that will see him doing four years of prison time. As has been widely noted, that will make Orta the only person at the scene of Garner’s death to see the inside of a cell. (Daniel Pantaleo, the cop who killed Garner, was not indicted.) Said Orta, on the day the plea deal was announced, “I’m pretty much tired of fighting.” He reports to prison in early October. Orta’s story is just one incident in a peculiar pattern of police scrutiny. Chris LeDay, a resident of Atlanta, was one of the first people to share the Alton Sterling video to a wide audience via social media on his @MobbGod Instagram account where he has over 15,000 followers. 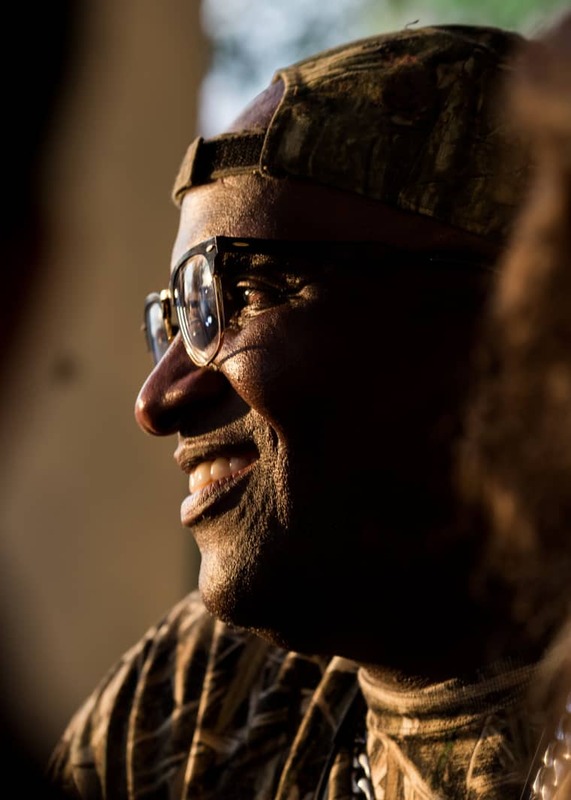 The next day, reporting to his job at the Dobbins Air Reserve Base, LeDay was arrested, held for 26 hours, then eventually charged for unpaid parking tickets. Kevin Moore, who filmed the arrest of Freddie Gray in Baltimore, was arrested weeks later at a protest in response to Gray’s death while in police custody. Diamond Reynolds, who used Facebook Live to stream the traffic-stop killing of her fiancé Philando Castile, was handcuffed after the incident, taken to a precinct, and held, separate from her 4-year-old daughter, for eight hours. All that is partially why Reed’s plan, initially, was to keep both the volunteer that shot the footage and Stop the Killing anonymous. But the Associated Press insisted they could not run coverage without a signed release stating that Stop the Killing was the owner of the footage. 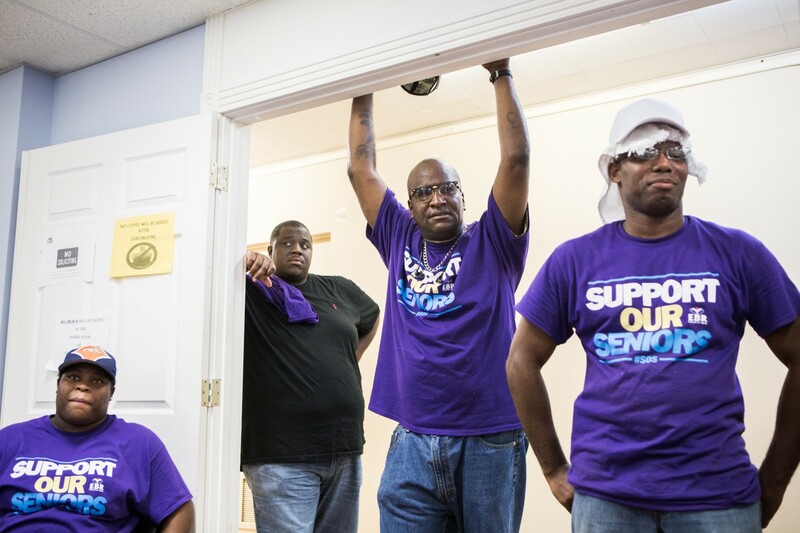 Weeks after, during protests in response to the death of Alton Sterling, Reed and a group from Stop the Killing splintered off the main action and headed to the home of the mayor, Kip Holden. Along with other protesters that day, some of them under the age of 18, Reed was arrested. He’s now being charged with a felony for four counts of contributing to the delinquency of a juvenile. On a balmy August afternoon, I meet Reed in an air-conditioned conference room in downtown Baton Rouge. He’s in Clubmaster glasses, a crisp white dress shirt and checkered blue tie, no jacket, wide blue pants, and nicely weathered brown wingtips. His head is shaved; his hands are thick and big. He walks with a slight hitch, or limp, which only adds to his general air of imposing grandness. As a young boy watching Uptown Saturday Night, he nicked the name of Calvin Lockhart’s nefarious gangster character, Silky Slim. Now, decades later, mostly everyone just calls him Silk. The conference room is inside a spiffy radio station complex where Reed hosts a call-in talk show, the Stop the Killing Hour of Power, on Max 94.1. Well, usually he does: right now he’s on indefinite suspension for an impolite comment he made about the mayor, who has been criticized for the weakness of his response both to the killing of Alton Sterling and the massive flooding that has, in the last few weeks, made the city of Baton Rouge a precarious emergency zone. It’s been a harrowing few weeks here. The death of Sterling was followed by the July 17 retributive killing of three police officers by a man from Kansas City (a fourth targeted cop, locals whisper gravely, is on life support). Then the flooding began on August 11, with a plodding, bizarrely heavy rainfall, not the concentrated fury of a storm surge but a slow and steady barrage. Thirteen people were killed; more than 60,000 homes may have been damaged. In some of the city’s parishes, more than 2 feet of rain fell in 48 hours. According to the National Weather Service, that’s the kind of flood that should happen once every thousand years. “What’d you say about the mayor?” I ask. There are overgrown lawns and skinny trees jutting out onto the rooftops of modest, derelict wood-slat homes. Portable basketball hoops have their bases weighted down with tree trunks or loose chunks of cement. We drive by the New Jerusalem Baptist Church, the Islamic Complex, a diner with a handpainted sign endearingly promising a “Juicy Juicy hamburger,” and McKinley High, the first black high school in Louisiana. Decades ago, Reed made his money in the dope houses in The Bottom. That’s where he first made use of a police scanner: back then, he used one to look out for narcotics-unit raids. He lived that life for 22 years, during which he was shot 12 times. Happily, he’ll let you pinch the clumps of skin in his back and his left knee where bullets are still lodged. Pulling up on one bustling front lawn, Reed hops out and greets his dad, a similarly burly, similarly gentle man with a giant headwrap. One of Reed’s dad’s friends, identifying me as a reporter, cracks jokes: “Take my picture! Send me to New York!” A woman in a floral blouse pulls up the new Master P video on her phone: an ode to Alton Sterling, it contains bits of TV news footage of Reed. Grinning, Reed watches attentively. Back in the car, Reed says that the atmosphere in the city is still “super edgy. Police don’t have remorse. 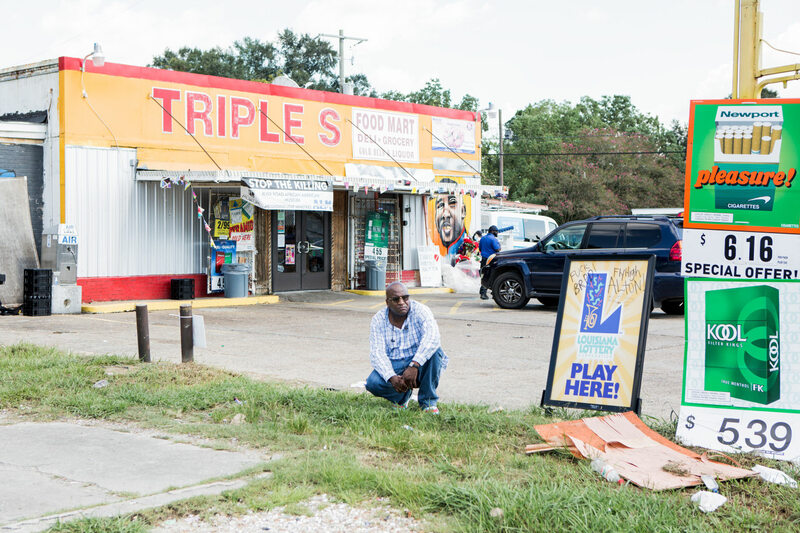 They like, ‘OK, we have company here.’” By that he means the national news attention, which has lingered after the deaths of Sterling and Brad Garafola, Matthew Gerald, and Montrell Jackson, the three Baton Rouge police officers. “‘Wait till company leave…’ And we feel we way past that!” Quietly, we slip into the parking lot of the Triple S. “This is the spot where it happened at,” Reed says: the death of Sterling. It’s buzzing with shoppers, and before even getting out of the car Reed has bumped into someone he knows. Some minutes later, back on the freeway, Reed spots flashing police lights out of the corner of his eye. Spinning the Buick down the nearest exit then bombing it back up the side road, he gets us close to the action quickly. There’s an ambulance and a few cruisers creating a makeshift barricade. Reed whips with purpose around the corner of a barbershop, down another back alley, and through a breach in the cruiser barricade. “What is that?” he says. “I seen a body on the floor?” Closer to the action, we note a banged-up tourist bus, and nothing else. It’s a car accident. False alarm. The most famous document in the history of American copwatching is the brutal beating of Rodney King. Shot by a truck driver named George Holliday from his nearby apartment balcony on March 3, 1991, to this day it feels like a bizarre bit of samizdat, as if it were a reality to which we are not meant to be privy. It’s also a dramatic outlier. In the years after, Mario Vara effectively became an amateur documentarian, diligently trudging out on the streets of Rochester with a bulky Panasonic OmniMovie VHS camera to record traffic stops and arrests. “‘Man on the corner,’ he used to call it,” Davy says, explaining that his father believed that the only way to keep city officials honest was to keep an eye on them. “He used to say, ‘Rights are not asked for, rights are not given — rights are fought for each day.’” Seeing as he was active at the advent of home-recording technology, he’s something like an unsung pioneer of the field. And the very fact that Vara is a marginal figure in the history of copwatching is precisely what makes him far more representative than George Holliday or Arthur Reed: overwhelmingly, the practice of copwatching is a non-impactful pursuit, practiced in solitary anonymity. Soon after the August 2014 police killing of Mike Brown in Ferguson, Missouri, a local man named David Whitt began copwatching locally. Eventually, with aid from the national organization WeCopwatch, Whitt formed an organization called The Canfield Watchmen, named in part for the street on which Brown was killed. 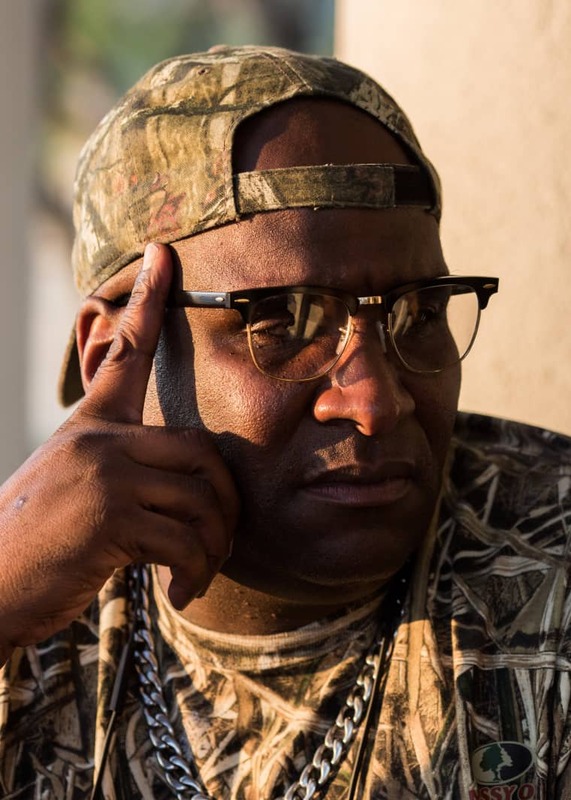 Since, Whitt has traveled to Baltimore and North Charleston, South Carolina, where Walter Scott was killed, to introduce local activists to copwatching. Currently, The Canfield Watchmen are in the process of renovating a Missouri house, bought with funds from an anonymous donor, and converting it into a full-time educational center where budding copwatchers can learn best practices. WeCopwatch has also pulled Ramsey Orta and Baltimore’s Kevin Moore into its orbit: both are advocates with the organization. They’re also now pals: Moore was with Orta at the latter’s July plea deal hearing in Manhattan. Sandra Sterling, Alton Sterling’s aunt and the woman who raised him after the death of his mother, stands in the fading dusk light outside her single-story ranch home in Baton Rouge. She’s in socks and jeans. As we stand around, she swats away the bugs attracted to the bare light bulb above us. “I’m gooooood,” she says wearily. And then, more assuredly — her smile, like Alton’s, showing a few gold front teeth — she adds: “I talked to the president today.” President Obama, in town briefly to give Baton Rouge a boost after the flooding, made sure to pull Sterling into a private room at the airport before he left. A few days prior, Sterling traveled to Houston to meet with Mike Brown’s mother, Lesley McSpadden. Since, the two have been texting regularly. 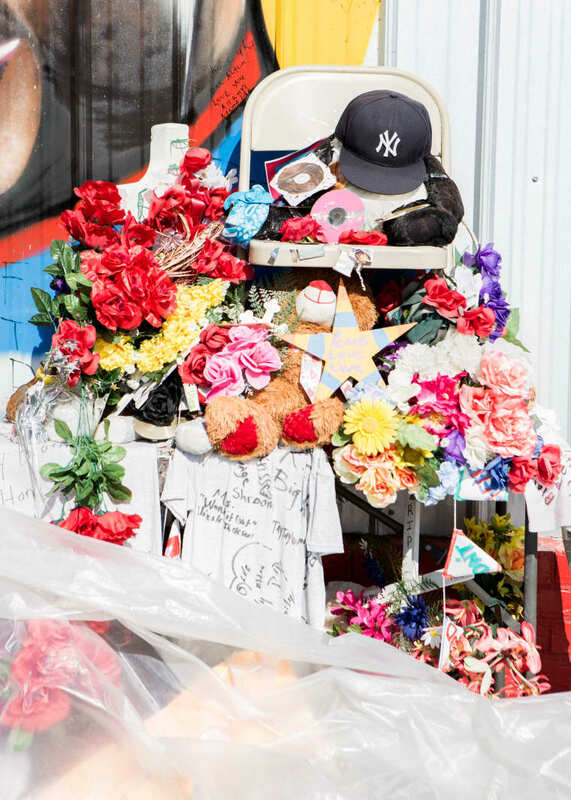 “She said she didn’t get justice for her son” — Darren Wilson, the Ferguson cop that killed Mike Brown, was not indicted — “but she still fighting,” Sterling explains. “And she is not talking about the money at all. I said, ‘It’s the same thing for me.’” Sterling is not concerned with a potential civil suit settlement, she says, because as the operator of a bail-bond agency, she supports herself independently. 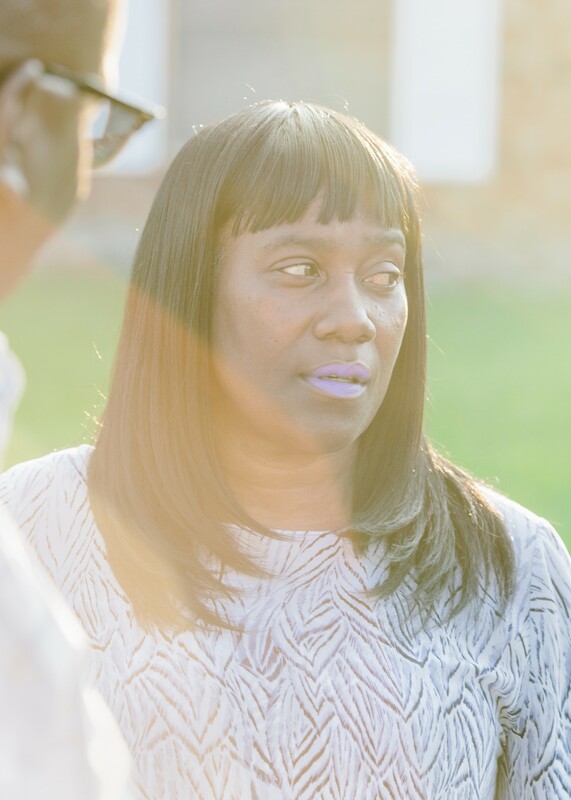 It was Reed that connected Sterling with McSpadden; he’s become something of a networker for mothers who have lost children to police violence. 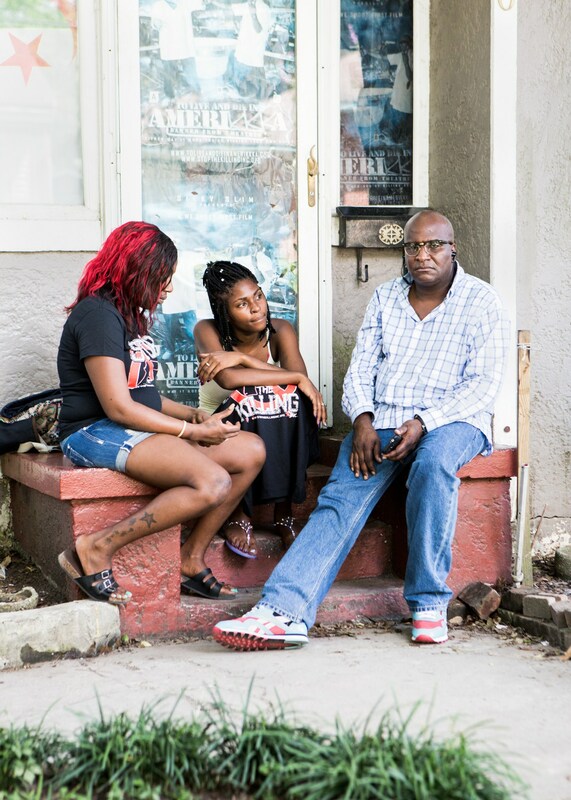 He tells me of their distinctive personalities: the aggressiveness of McSpadden, the public polish of Trayvon Martin’s mother Sybrina Fulton, the quiet determination of Tamir Rice’s mother, Samaria Rice. In one small way, the tragedy of the flood has given Sterling a much-needed purpose and focus. Later, Reed would explain to me how important he believes it is to keep mothers who have lost children focused on a fight or a task; otherwise, the drift to desperation can happen quickly. And indeed, in the immediate aftermath, Sterling recalls falling into a haze that lasted days. After joining the protests that sprung up around the Triple S in response to Alton’s killing, Sterling lashed out in anger at friends for not joining as well. “I’m asking them, ‘Where was you? Why you ain’t come out here? !’” Many of those friends, it turns out, were in fact right there next to her. “I had to show her pictures of us,” Reed interjects, smiling. Looking ahead, Sterling braces herself for legal disappointments, but is resolute: she believes there will be a path for justice, even if it’s not in the courts. She believes the story of Alton’s killing needs to be told, and learned from; she believes it has power. She tells us of a police officer, a white man who embraced her after her meeting with Obama at the airport. The sun has set in Baton Rouge, and the power has been out in some homes for weeks, but there’s still enough moon and street light to see. Reed is piloting his Buick slowly through residential neighborhood after residential neighborhood, making sure I note the damage of the flood. It’s impossible to miss: every house on the street now faces a massive cluster of trash. At some stretches the clumps run 60 feet long uninterrupted along the curbs, maybe 15 feet high. The trash clusters are made up of every last stick of property that was once inside the homes. Reed, too, sees a net positive in the aftermath of the flooding. But his view feels more ominous: he believes that the flooding has cut the tension, distracted from the killings of Alton Sterling and the police officers; he believes that if it wasn’t for the flooding, more killings may have occurred. There’s an hour or so go to before the city’s post-flooding midnight curfew, but already restaurants are shacking up and sending their employees home. We roll past a Lebanese spot and a strip mall gone dark before finally finding a burger counter open. 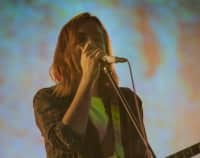 There, Reed flashes back to surviving that fatal car accident in Texas. Soon after, he recalls, he went lake fishing and caught a “little bitty poach fish.” Feeling suddenly sensitive about death, he immediately released it back into the lake and prayed for it to live. Reed waited and waited to see the thing pop back up, breathing. He waited some more. Finally a big white bird flew down, swooped up the fish, and flew away.